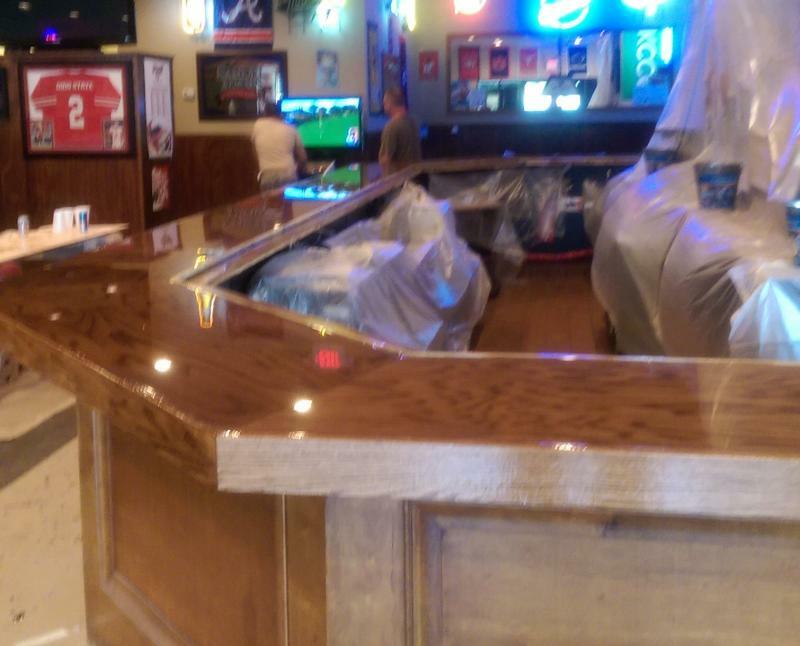 We have the ability to refurbish commercial and private Bar Tops. 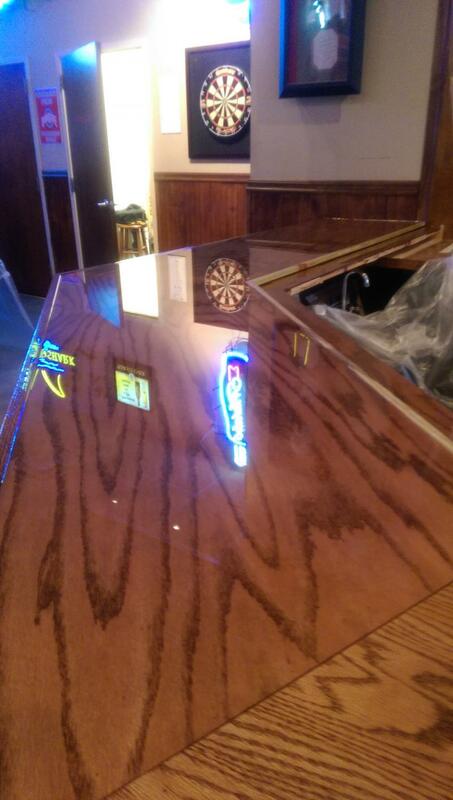 The tops are reconditioned or replaced with high quality wood surface followed by application of a high gloss durable wear surface. Some time ago a client called us in the assess damage to his large Palladian Window. The seals on the double glazing unit had failed, resulting in fogging of the unit. We teamed up with ANY GLASS on Hwy 141 to attack this from both points of view. 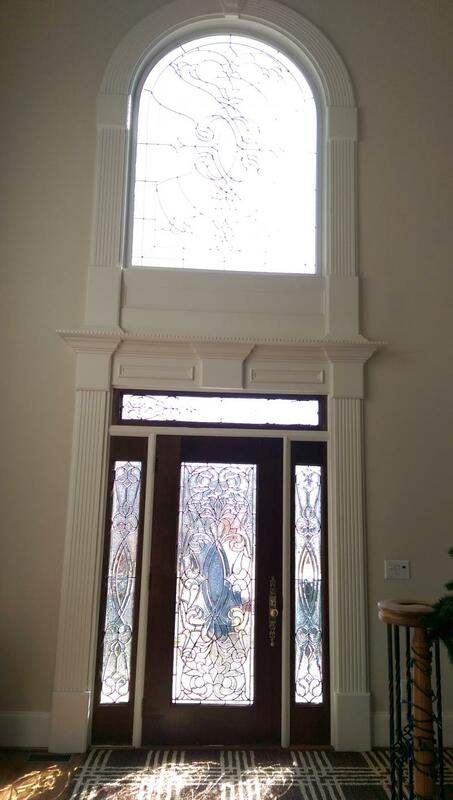 We would manage the exotic leaded glass panel, while ANY GLASS would prepare a replacement unit which sits on the outside of the two. 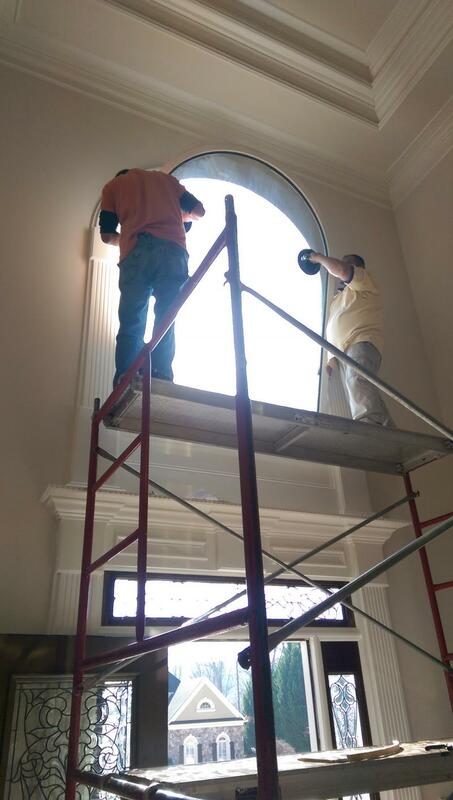 The Window was over 7 feet high and 5 ft wide and on the second story. Scaffolding was needed to work here. 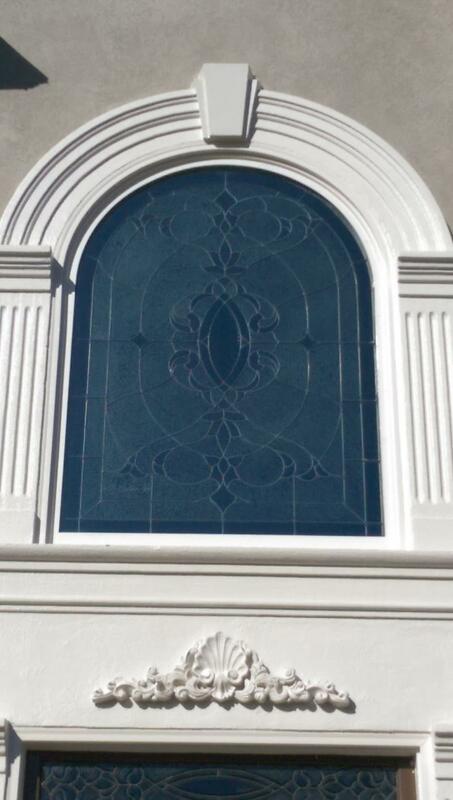 Replacement went smoothly and our thanks to ANY GLASS for the contribution their team made to this success. 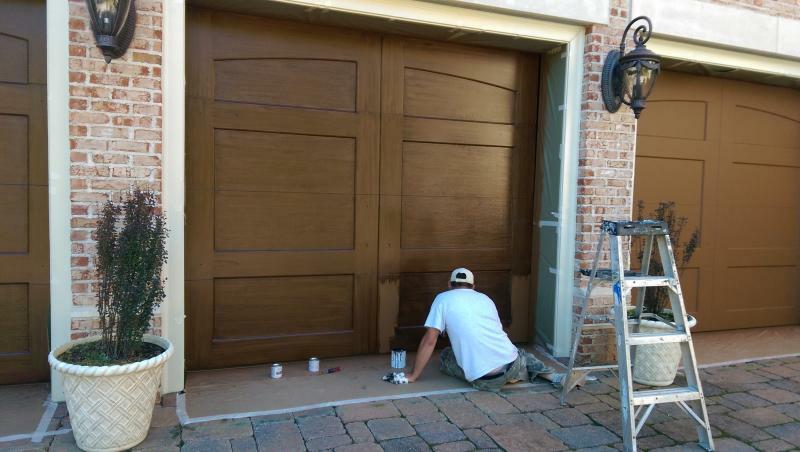 Do you need a finish on your garage doors to match your main entryway? 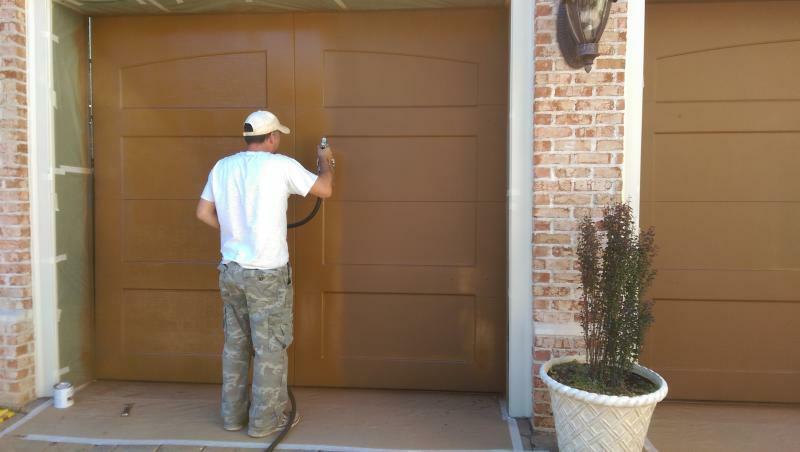 We have the skills to apply a Faux finish to your doors to make, even metal doors look like they are wood based. 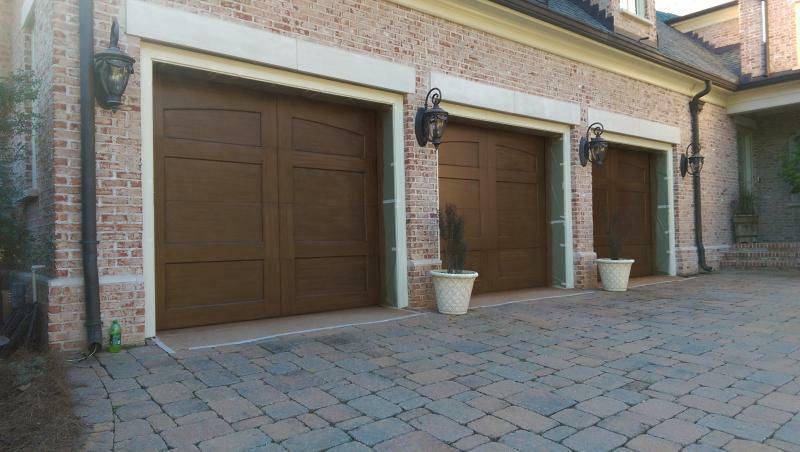 We finished a project recently where our client wantd to refurbish their metal garage doors in a grain effect with similar characteristics to their beautiful wooden entryway doors. This required removal of all old and flaked finish, priming, application of 2 base coats, followed by the Faux process. 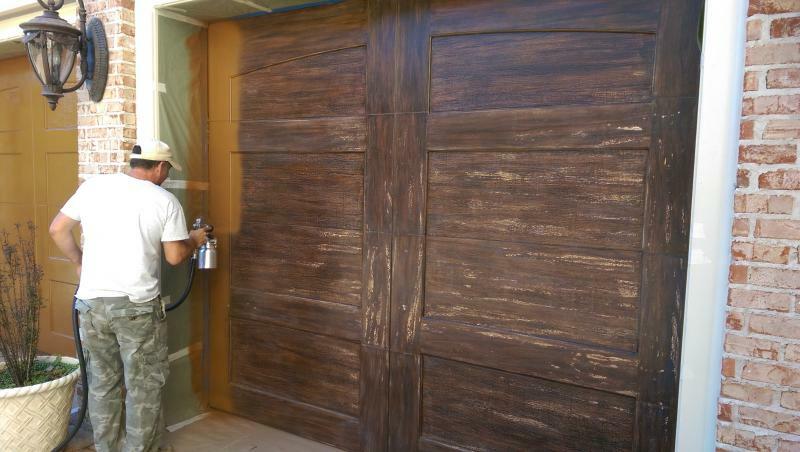 Several coats of quality exterior varnish with UV protection completed the doors to give them longevity. 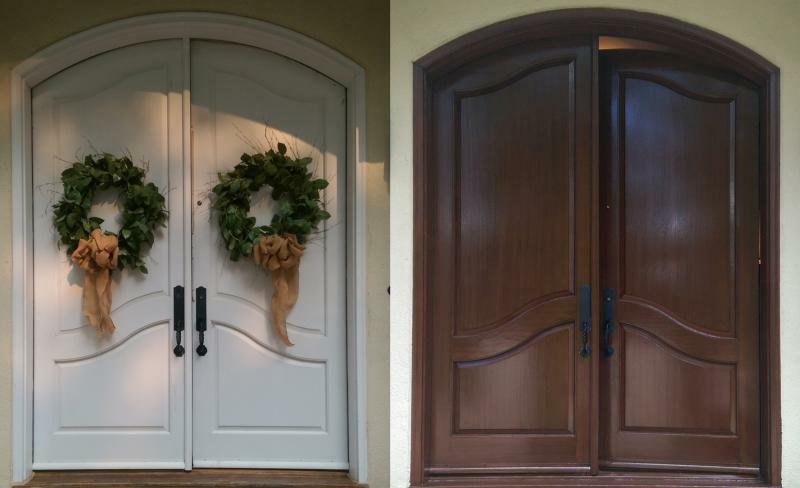 If your regular entryway is aged we can help with replacement Doors, Door Jamb, Sidelites and Transom. The image below is of a rear double door changeout for one of our recent clients. 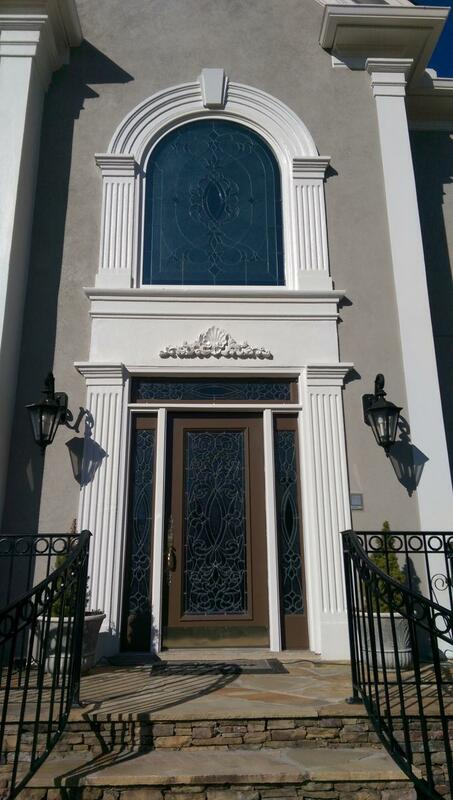 We are skilled in all thing doors so contact us if you need our help. Top was fitted withstained oak panelling. A 2-part clear epoxy finish was then applied and levelled then left to cure forr 2 days. The result, a beautiful, shine and DURABLE finish. Pictures were taken before re-opening to the public. Second base coat applied over first coat. Manual applicationof a Faux to give a wood grain effect. This is followed by exterior varnish layers. 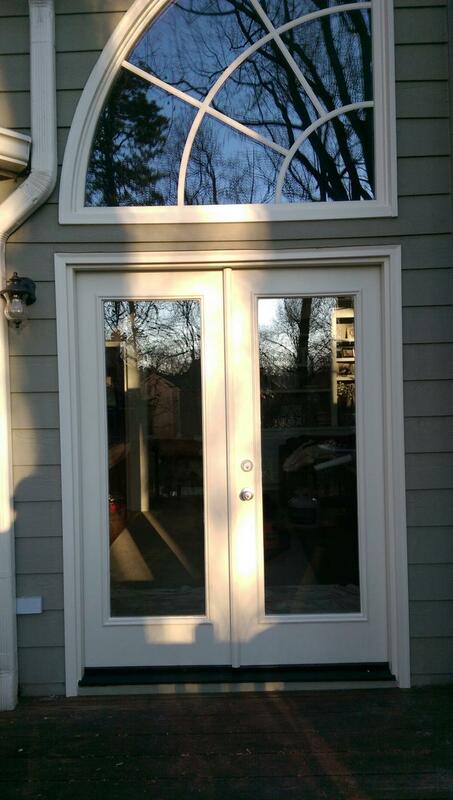 These White, painted doors could not be refinished so we offered an alternate. These were Faux'd to create a wood-grain effect on each single panel. The final effect after protective varnish was applied was quite stunning.